The hotel features 132 suites, each of which is at least 55 square metres in size. These are sub-categorised as Jacuzzi-, Swim-Up und Penthouse Suites, and most offer views of the Red Sea. 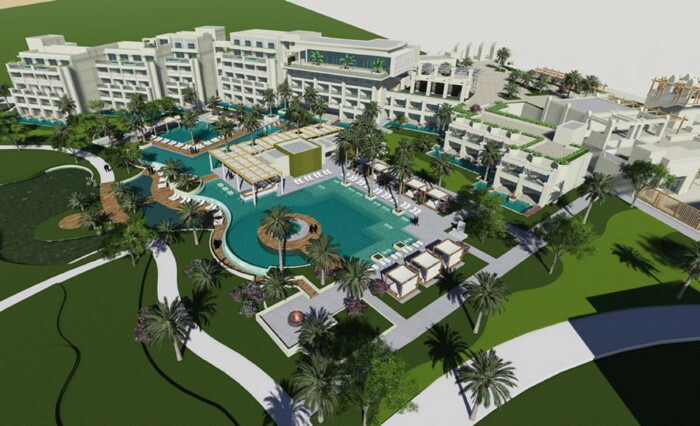 The Steigenberger Pure Lifestyle in Hurghada has now become the twelfth of the brand's hotels to open in the country. The Steigenberger Pure Lifestyle is a new 5-star boutique hotel located only five kilometres from Hurghada International Airport. Its "All-White, All-Suite and All Adults" concept delivers a whole new level of luxury and comfort. The hotel features 132 suites, each of which is at least 55 square metres in size. These are sub-categorised as Jacuzzi-, Swim-Up und Penthouse Suites, and most offer views of the Red Sea. Deutsche Hospitality CEO Thomas Willms stated, "The Steigenberger Pure Lifestyle in Hurghada has added a truly top-end luxury hotel to our portfolio. A high quality experience is available to hotel guests from all over the world with immediate effect. This is a resort which promises relaxed beach holidays and an exclusive atmosphere." All suites are equipped with a jacuzzi, a 49-inch smart TV, an espresso machine, a make-up mirror, unlimited high speed Wi-Fi and a large terrace or balcony featuring a swinging chair. Mattresses by the luxury Norwegian designer "Jensen" ensure that everyone enjoys the most comfortable night's sleep possible. F&B services at the Steigenberger Pure Lifestyle are equally fabulous. Guests have eight restaurants and ten bars to choose from and can also take advantage of a 24-hour all-inclusive offer. The hotel's so-called "Gourmet Market" serves up a whole range of culinary delights. Cooks work at eight live cooking stations to create specialities and delicacies from different countries. The "Alex Beach Club & Restaurant" stages weekly beach parties in a stylish environment, whilst the entertainment programme at "Pure Experience" includes high-profile events. The hotel even has its own "Pure Beats Music Channel", which guests can access via soundcloud. Further highlights are a "Party Pool" complete with a DJ desk, a "Play Pool" with integrated pool tables, 180-degree pool showers and a mobile check-in facility. Guests of the Steigenberger Pure Lifestyle also receive access to the amenities available at the "Steigenberger ALDAU Resort" and are able to use the Algotherm Thalasso & Spa, the ALDAU Golf Course and the Ilios Dive Club & Aqua Center. Are you with Steigenberger Hotels and Resorts? If you are a member of Steigenberger Hotels and Resorts you may be interested in learning how to optimize your content on our network.